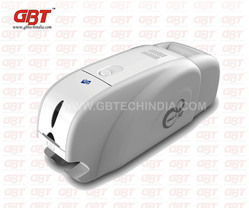 We are known for manufacturing ID Card Machine Material for our clients based across the world. 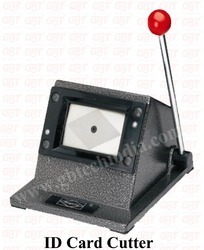 These machines are sturdy in design, easy to use and have excellent resistance against abrasion. 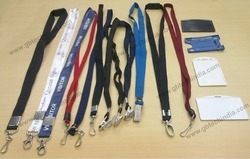 The range is available in different sizes and dimensions. 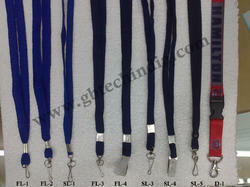 Multicolor Lanyards Badge Holders Yo-Yo, etc. 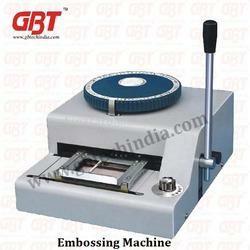 We have the expertise of designing and manufacturing a wide range of Fusing Machine that is available in A4 sizes. 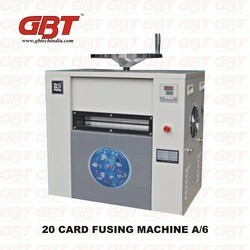 These are capable of fusing 100 cards at one time without consuming more energy. The range is easy to operate & maintain and is in large demand across the globe. 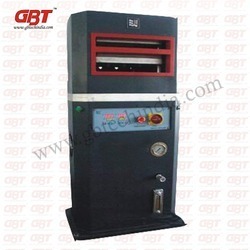 Here we offer you an advanced Hot Foil Stamping Machine which is designed for PVC cards, such as credit cards, VIP cards, bank cards,club cards, membership cards, gift cards. 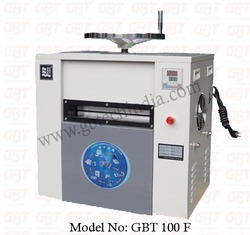 Other industry usages include stamping on business card papers, leathers, soft adhesive papers, rubber, wooden products etc.It is an ideal equipment for your individual workshop or medium-sized enterprise. 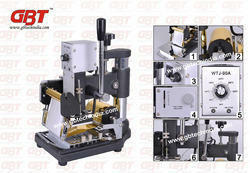 The applicable stamping substance height is up to 1 1/2"(40mm). 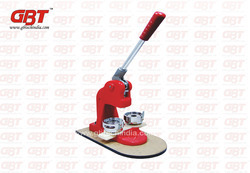 The adjustable stop is simply turned up or down to facilitate the thickness of the material being imprinted on so that optimum pressure is obtained. 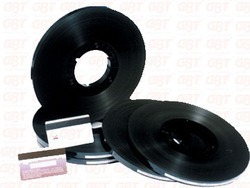 The foil drive can be adjusted to feed from 0" to 2 1/3"(0-60mm) with each imprint to avoid wasting foil in between each stamp. 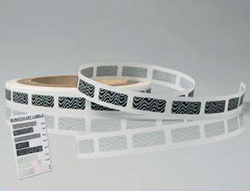 Remember that the stamping quality will vary depending on different materials and power that you use to operate. The adjustable location ruler can be set to nearly any position on the worktable. The cards and wallet showed in the last picture are not included. 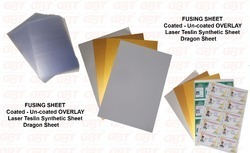 Its a new style easier scratch off, many kinds anti-counterfeiting functions materials for scratch-card, with high quality. 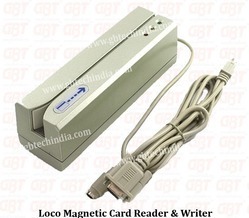 It suitable to Phone cards, Prepaid cards, game cards, rechargeable card and so on, for covering the password on the password scratch-card, owning high security, proof transmit light and anti-theft, one-time used, excellent abilities of security. 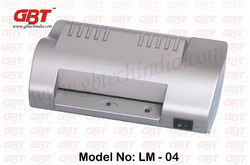 It also can be used in all kinds of labeling machinery. 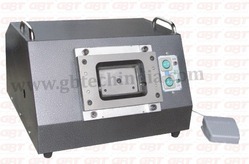 The speed of the labeling can be up to 25-40 thousand pieces/hour. 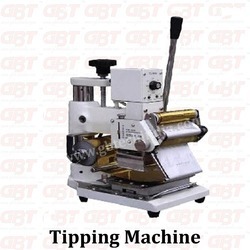 Having excellent suitability on machine, stabilization labeling, easier scratch off functions, it have been used in many large, middle, small size enterprises popular now. 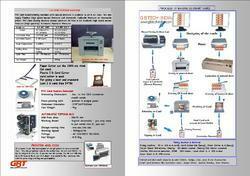 ·Main used for : access control, attendance control,identification. 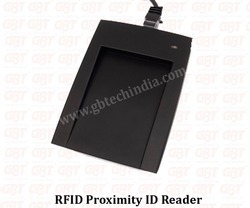 We are the best provider of ID Card Software to meet vast applications of our clients. Our product quality is best in the market and appreciated for its long sustainability. 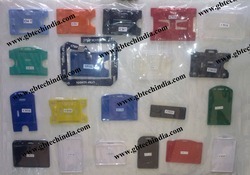 These advanced products are strong, reliable and are made of high grade resources. Our skilled quality controllers test these ID Card Software on different parameters to confirm with industrial standards. 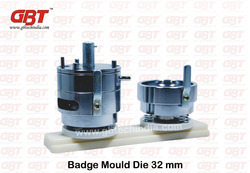 We design these products in bulk to the rising demands of the customers. 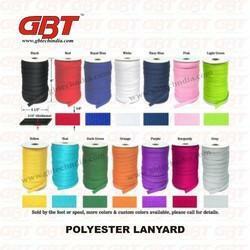 Moreover, this range is available at industry leading prices. 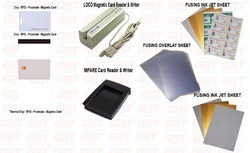 Tharmal Card, white Thermal Card, Proximate Card, RFID Card, Chip Card, Magnetic card etc. Badge button badges come in four different sizes with high quality printing to give maximum impact to your message, slogan or design. 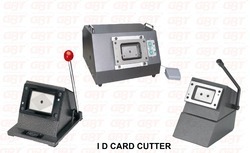 This Heavy duty PVC credit card is a capable of cutting 85.5 x 54mm credit card in one action. 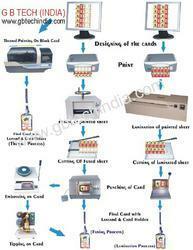 Great for making Credit cards, ID cards, vouchers etc, Suitable for High thick PVC Cards, Paper and Card. 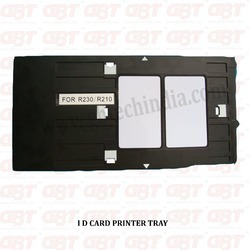 Slide your PVC into the machine, pull down in the handle and will cut the perfect card with rounded corners. automatic mode. 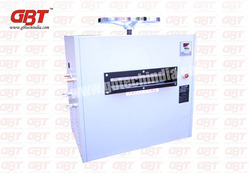 Durability, study construction and long life performance are the well acknowledges features of these machines. 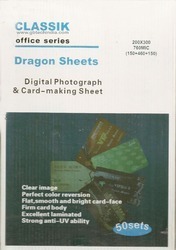 The printer have a CD print function, with the card tray can print card directly.